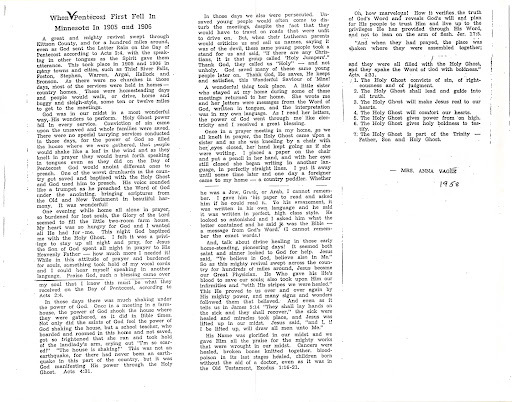 I was given the following brief account (written by Mrs. Anna Vagle in 1958) of some of the occurrences in 1905-6 in north-western Minnesota when the “winds of the Spirit” began to blow with “Pentecostal power”. It is a marvelous thing to read what God has done in the past…and it makes me long to see what more God will do in the present. While not every phenomenon is to be treated equally it is still a wonderful piece of Pentecostal history that I thought should be shared with a wider audience. And so I’m posting it here for your reading pleasure. Next Next post: The Mark of the Beast Revealed!